From the monumental Tatra Mountains in the south, through Lower Silesia on the west with its large number of medieval castles, Lesser Poland with the great City Of Cracow and Magic Wieliczka Salt Mine, Lubelskie Region on the east with hop fields spreading through the region, to the Mazovia with its Lowland, the capital city Warsaw, and the oldest city in the region – Płock, and further – Podlachia with its woods, Masuria with lakes, Pomerania at the shore of Baltic Sea and Polonia Maior on the west … Poland offers the great heritage of regional culture, customs, food, beverages and of course – traditional music. The history of folk music in Poland has its roots in the early medieval era. It has evolved from Slavic tribes in its own specific way and differently in every region. Music has been the companion of every daily activity, work, rituals such as weddings, courtships and harvests. And of course, it’s full of love songs, folk dances and religious songs. It was influenced by and mixed with music of other countries and cultures like Czech, Slovakian, Ukrainian, Belarusian, Hungarian, or Jewish and Gypsy. The traditional instruments have also evolved. The basis were string bowed instruments with traditional drums and vocals. At the turn of the 20th century the accordion established itself as a the main instrument. In fact, Poland has long traditions of building accordions. In the late 19th century their constructions were small, like up to 10 sounds on the melody side, and 2 or 4 on the bass side. 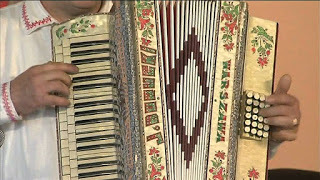 One unique instrument in the accordion family was a Polish invention – “Harmonia Trzyrzędowa” – which can be translated as “Three-row harmonium”. It has three rows of melody keyboards (could be compared to the three or more keyboards like on church pipe organs) and from 16 up to even 140 bass keyboard buttons! It become very popular from the beginning, and was produced through the first half of the 20th century. There were several dozens of manufactures all over the country, most notably – Bogucki, Mejer, Mościcki. With time, the constructions got more complicated, and the embellishments got more sophisticated. Another Polish invention was the Pedal Harmony (polish “Pedałówka”) a type of accordion with a pair of pumping pedals attached below. The instrumentalist was able to pump air into the instrument with by pedaling their feet. Firstly, these instruments were much louder, and secondly, the performer didn’t get as tired as a regular accordionist, and could play for many hours. 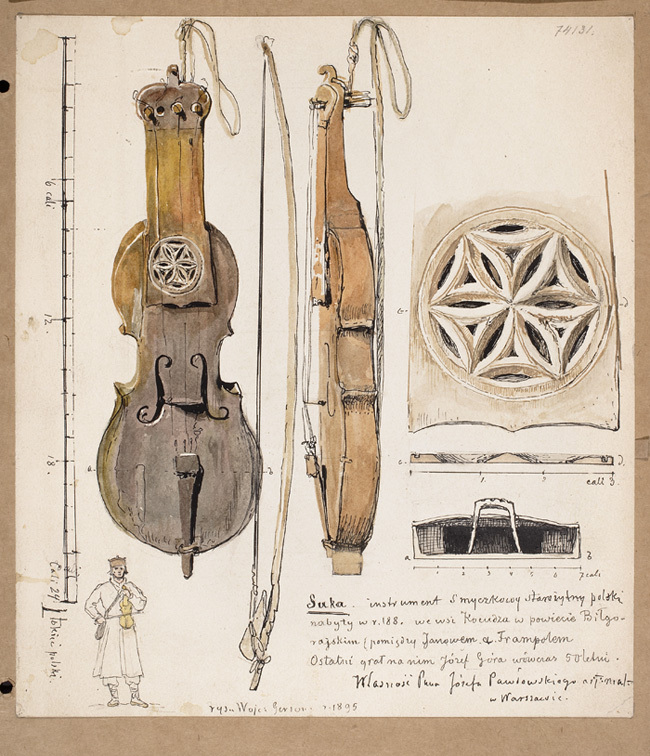 That’s why – because of loudness and the unique pumping system – these instruments became popular and were often used to play at weddings, which in Polish tradition could last for the whole night, and even into the next day! Through the years, the constructions became more and more regular, and modern accordionists use regular accordions. There are some enthusiasts who work on renovations of old Polish instruments, and it is possible that some of them will try to reconstruct vintage Polish instruments. Today, these traditions are cultivated, and in fact still growing. Young people want to know the customs of their ancestors, as well as their way of living, working and having fun. There are schools that teach playing traditional instruments. Krakow Music Academy gives students a chance to study and practice traditional instruments. 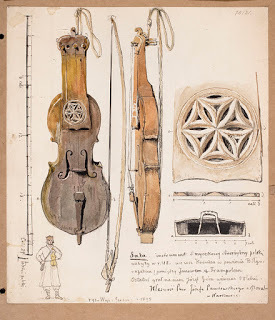 Also, the great contribution of the Polish artist Maria Pomianowska in researching and reconstructing playing techniques of old type string bowed instruments can not be overrated. She is a multi-instrumentalist, vocalist and pedagogue who educates young students of traditional music. Her work includes research and curation of instruments from Europe, India, Japan, Iran, China and other parts of the world. She has collaborated with the famous Yo-Yo Ma while living in Japan (where she used to perform at Imperial Court in Kioto). 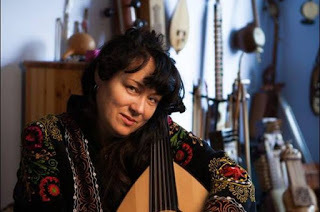 Maria Pomianowska has reconstructed many Polish folk songs and melodies using the notes from Henryk Oskar Kolberg, a Polish ethnographer, folklorist and composer who lived in 19th century. 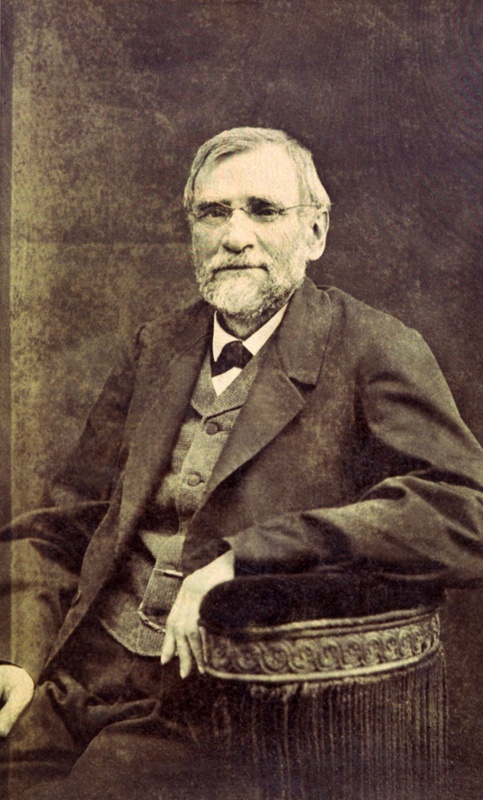 The greatest work of Henryk Oskar Kolberg is titled “Lud (Dzieła Wszystkie)”, and it is a compilation of folk traditions from all of the Polish regions. It contains 12,000 folk songs, tales, proverbs, etc. The Heritage of Henryk Oskar Kolberg made the foundations for today’s Polish folk ethnography. 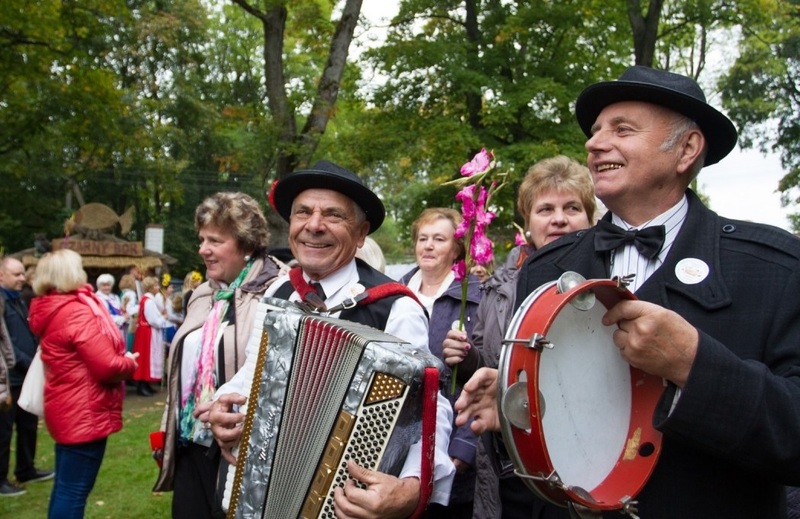 The traditional folk music has strong position in today’s modern Polish society. It can be found at every level in every situation. Today’s modern Poland sees a trend of searching for the roots of Polish culture – including music, of course. Many young people are fascinated by it. 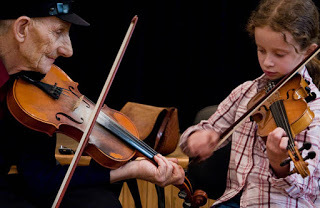 One of the greatest old roots traditional musician and violin player, Jan Gaca, died in 2013 at the age of 80. He started to play in the early 1940’s as a young boy and he performed until his death. He educated many young musicians and became a legend of Polish folk music. We need to mention also the Warsaw Village Band (Polish: Kapela ze Wsi Warszawa), founded in 1997, who tend to combine traditional Polish folk music with modern elements. They have popularized Polish folk outside the country, and were nominated for the “Newcomer” award in the BBC Radio 3 World Music Awards in 2003, and won it in 2004. Most popular are of course adaptations of traditional music and folk sounds as a source to popular music. It can be found at different levels in the music of many bands and artists. For example, Golec uOrkiestra, founded in 1998 by twin brothers Paweł and Łukasz Golec. They are mixing folk music with rock and pop. At the time of writing, they have released 11 albums and sold over million copies. There is also scene of Polish Folk Bands mixing Folk with hard rock or heavy metal – which is sometimes called Polish Pagan Metal. 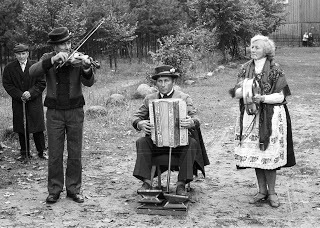 Polish traditional music can be heard in many places and situations. It is often used at state celebrations, traditional fests like “Dożynki” – a Slavic harvest festival at the end of harvest season. It is also quite popular to hire folk bands to perform at private parties. 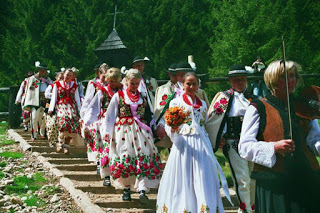 It’s even possible to arrange an entire wedding in folk style with traditional decorations, clothes, food and of course, music. There are many festivals, like “Festiwal Wszystkie Mazurki Swiata” or “Skrzyżowanie Kultur” growing year by year. Traditionally, the lyrics of Polish folk songs tell stories about love and romance, and daily hard work. They are full of descriptions of beautiful and distinct landscapes, fauna and flora. With our album made exclusively for Shockwave-Sound we would like to invite you for a musical journey through the beautiful regions of Poland. Chłopaku – it is a love song, girl is singing about how happy she is to have a boy, and his closeness gives her strength for living. 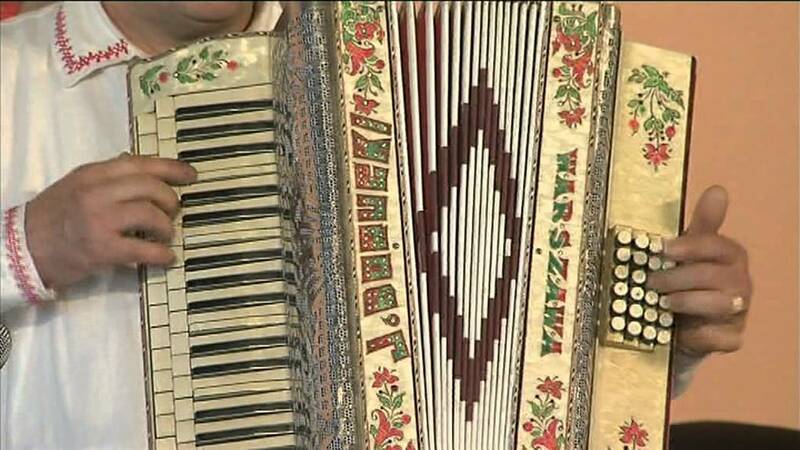 Polka ferajna – traditional Polka with the vocals in middle part that gives feel of “Warsaw street music”. Lipka – beautiful song from the Lubelskie Region. The story tells about three brothers who fell in love in one girl. Eventually girl is forced by her parents to marry other man. 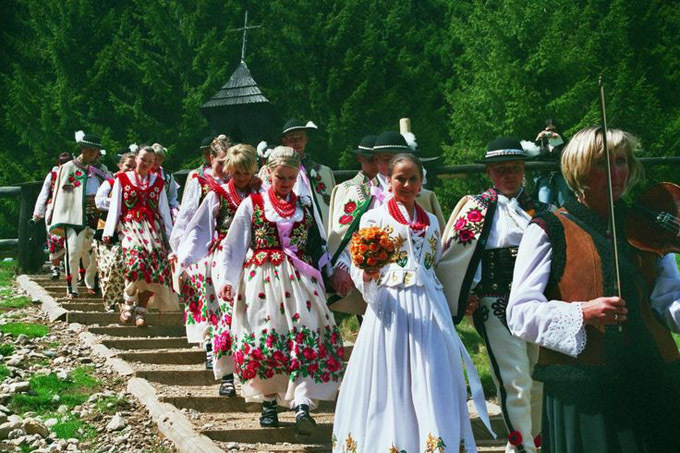 Obertas – traditional dance, played mostly on weddings, and folk feasts. This one is specific for Radomskie Region. Karczmareczka – from the Karpatia area in the very south of Poland. Tells a story about love, family life, marriage, and at the end reminds – not to lose it, because these are most important things in life. Opocno – traditional dance from Region Opoczno. Tokaj – influenced with Hungarian culture, the story about wine drinker and lover, who surely knows well how to live life to the fullest. Kresowa Polka – Polka in the style and mood of east regions of Poland. Komu dzwonią – traditional song from the streets of Warsaw, the story of heavy drinker who after his death doesn’t want a regular funeral, but just want people to drink at his grave. W moim ogódecku – from the Lubelskie Region – a love song, about courtship, flowers, and feelings. Polka Przytkana – traditional song from the east of Poland. These songs could be the “soundtrack of life” through the years of traditions in Poland, but still there’s much more to discover in Polish culture and heritage. You can find it out by visiting any of the beautiful regions of Poland and experience Polish hospitality. Meantime, please take a while and listen to the music that flows straight from the heart of Poland.